NYspins Casino Review (The important things): NYspins is from the original owners of Thrills and Kaboo before they sold those properties in order to focus on this exciting new brand. They use the iGaming Cloud platform for their casino though to date they do not charge the deposit and withdrawal fees that other IGC casinos charge. A beautiful design and an interesting gamification system are in place along with fast payouts, though ideally we would like to see the rewards be a bit more generous. NYspins Casino is a real stunner and if they boost the gamification rewards then they could prove to be a really popular destination. For our first time customers, we’re offering the very generous NYspins welcome package. The package consists of four separate offers with a total value of €1 000 in bonuses plus 200 Free Spins. NYspins.com is operated by SuprNation Limited, a company registered in Malta with registration number C-74595, and with registered address at DSLR Notaries (Suite 759), Ftieh Street Birkirkara Bypass, BKR2940 Birkirkara, Malta. SuprNation Limited is licensed to operate remote gaming by the Malta Gaming Authority under the following license: MGA/CL1/1181/2016, issued on the 8th of July, 2016. Payments may be handled on SuprNation Limited’s behalf by SuprPay Limited, with company number C 75650 and registered address DSLR Notaries (Suite 765) Triq Ftieh, Birkirkara Bypass Birkirkara BKR 2940 Malta. 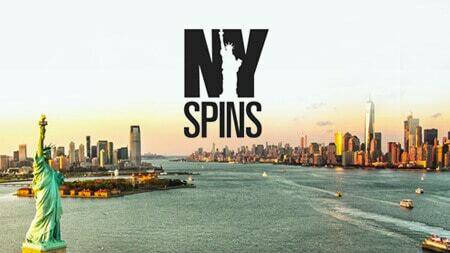 NYspins welcomes you with a generous welcome bonus package. With this offer, you can receive five different offers with a total value of €1,000 in bonuses and 200 free spins. This is how it works. NOTE: Players from Canada currently can not take part in the free spins given in combination to this welcome offer. Bonus terms and general terms & conditions apply to this offer. 1. 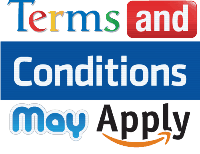 General bonus terms for all bonuses – unless specifically stated. a. We love bonuses as much you do – it’s a great way to get introduced to the casino and the game. However, unfortunately some users give it their best shot to find loop holes and to abuse our bonuses in ways we did not intend. And that’s not ok in our book because abuse costs us money and leads to less bonuses for all you good and honest people out there. To stop those mischief-makers in their tracks, we need to create a rather long list of what you can, and what you can’t do while playing with bonuses. For the vast majority of you out there, the risk of breaking any of these rules by mistake is low. We assess each breach of our rules on a case by case basis, and we retain the right to reset the account balance to its status prior to the breach, if we deem the breach was made will fraudulent intent. In case of repeated breaches by an over-creative and mischievous player, we retain the right to void all activity and refund the original deposit to the player and close the account for good. b. For any deposit bonus the minimum deposit is €10 / £10 / $10 / 100 SEK / 100 NOK or currency equivalent, unless stated otherwise for the specific bonus. c. When you claim a bonus, your deposited money + bonus money is turned into a “bonus balance”. d. The bonus balance is locked until the either the wagering requirements have been met, your bonus balance is lost, the bonus time period expires or you choose to forfeit the bonus. e. All bets placed when you have an active bonus will be deducted from your bonus balance. Your deposited money is deducted first and then your bonus money. f. Any winnings generated from bets placed with your bonus balance will be added to your bonus money. g. The maximum amount you are allowed to bet per spin when playing with a bonus is €5 / $5 / £5 / 50 SEK / 50 NOK per bet (or equivalent in any other currency) until the wagering requirements of the bonus have been met. This includes double-up wagers after the game round has been completed. h. Prior to making a first deposit, all winnings generated from free spins and/or bonuses exceeding €1000 (or equivalent in your local currency) will be forfeited. i. Your bonus balance will be converted to real money as soon as the wagering requirement is met. j. If you forfeit your bonus, the bonus balance is forfeited and any remaining deposited money within the bonus balance will be credited to your account. l. There are a number of games that you may not, or cannot play whilst playing with a bonus balance. These games are: Tower Quest, Koi Princess, Dr Jekyll & Mr Hyde, Ladies Nite, Game of Thrones, Scrooge, Spring Break, Eye of the Kraken, Blood Suckers, Lucky Angler, Big Bang, Forsaken Kingdom, The Wish Master, Devil’s Delight, Champion of the Track, Robin Hood, Pearls of India, Royal Masquerade, Tomb Raider 2, Dead or Alive, Untamed Bengal Tiger, Untamed Giant Panda, Untamed Wolf Pack, 1429 Uncharted Seas, Untamed Crowned Eagle, Double Dragons, Divine Fortune, Super Monopoly Money, Castle Builder, Castle Builder II and Alchymedes. m. At any given time, you can only have one active bonus. You cannot take 2 bonuses and stack the amounts on top of each other. This means that when claiming a new bonus, you may not have any funds in your bonus balance. n. Bonus offers claimed by exchanging Sprit Points on the Website are available to all Players, no matter country of residence. The Welcome bonus and other types of bonus offers, campaigns, promotions, free spins offers and other offers that may be available from time to time are only available to Players residing in the following countries: Sweden, Norway, Finland, Germany, Austria, Switzerland, New Zealand, Australia, Canada and Malta. o. NYspins only allow one account per person – and as a consequence only one bonus offer is allowed per person, account, address, computer and IP address. NYspins reserves the right to close any accounts that is concluded to be duplicate accounts, and confiscate the funds of such accounts. p. NYspins management retain the right to update these rules at any time without notification and it’s up to the customer to check for updates. q. All NYspins’ offers are intended for recreational players and We may in our sole discretion limit the eligibility of customers to participate in all or part of any promotion. r. In case of breaches of these General bonus terms, or the specific terms related to a bonus or a promotion, in our sole discretion, we reserve the right to reclaim the bonus element of such offers, void bets, and winnings made with the bonus balance. In addition, NYspins reserve the right to charge an administrative charge to the customer of up to the value of the deposit bonus, or €50, or currency equivalent, in case of bonuses not requiring a deposit to activate the bonus. s. It is not allowed to attempt to build up value inside a game, for example using the feature of the game, while playing with your bonus balance, and then leaving the value in the game and redeeming it after the active bonus expires and the wagering requirements no longer apply. Such behaviour is considered fraudulent and any winnings will be confiscated. t. Points (p) are earned during game play at NYspins and can often be exchanged for bonuses. Points are available immediately on the Website as you play and can be used in exchange for any bonus of your choice as long as your points balance is sufficient for the bonus in question. Your points balance will expire and return to zero after 7 consecutive days without a deposit. a. A deposit bonus is defined as a bonus where you deposit an amount of real money and get an additional amount of bonus money from NYspins. b. The deposit bonus and any winnings generated from the bonus balance will be forfeited 7 days after the bonus has been credited if the wagering requirement has not been met. c. All deposit bonuses, if not otherwise stated, are subject to a wagering requirement of 45 times the bonus amount. d. Deposit bonuses are only available to players who have received an offer either via Email, SMS, Phone, Onsite message or by casting a deposit bonus spell on the website. a. The winnings generated from free spin bonuses are credited as bonus money and are subject to wagering requirements of 45 times bonus amount. b. Any free spins originating from a campaign are available for 3 days, unless otherwise stated. c. Free spin bonuses are only available to players who have received an offer either via Email, SMS, Phone, Onsite message or by casting a free spin bonus spell on the website. d. Unless otherwise stated, all “deposit and get free spins” offers require the deposit value to be wagered at least 5 times. Play with bonus money won from the free spins does not contribute towards the wagering of your deposit.